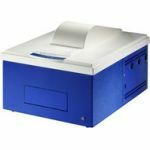 Berthold's LB 940 Multimode Reader, LB 913 Apollo 11 ELISA Absorbance Reader, TriStar LB 942 Multidetection Reader,and various microplate luminometers and fluorometers. Berthold's LB 931 Stacker. Twinkle Microplate Fluorometer The dedicated fluorometer is using an optimized design for a variety of measurement modes to support academic and pharmaceutical research centers. 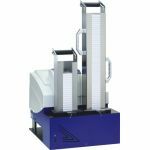 The Universal Microplate Luminometer, the Centro LB 960 meets all currently known requirements for a versatile, robust and sensitive microplate luminometer. 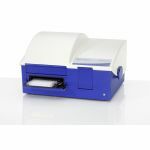 The reader supports all basic luminescence technologies including: Flash-type Luminescence, Glow-type Luminescence, Cellular, Luminescence, Bio-Luminescence, and Chemi-Luminescence. The selected detector and the proprietary design of the optical system guarantee lowest background and negligible crosstalk. It is the instrument of choice for reporter gene assays and ATP determination when highest sensitivity is required. 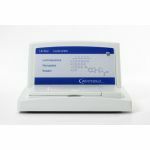 The CentroPRO LB 962 is universally applicable for research and routine. It comprises all basic features required for the measurement of glow-type luminescence applications like reporter genes, ATP determination or cell viability. 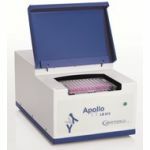 The small-footprint ELISA Microplate Reader Based on the proven technology of its predecessors the Apollo 11 sets new targets for microplate absorbance readers by introducing its new unlimited life-time LED light source technology. 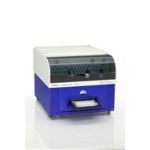 Mithras² LB 943 is a high-end microplate multimode reader based on monochromator technology with excellent performance.